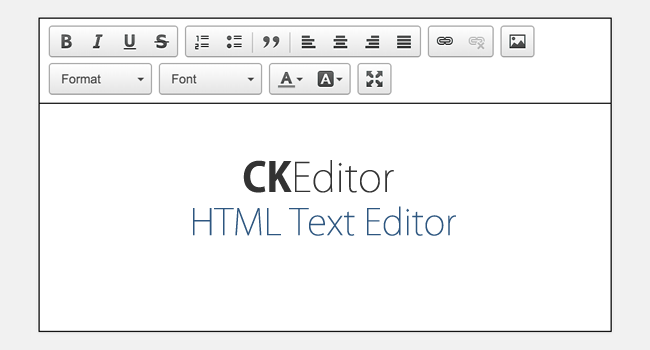 CKEditor is a rich web text editor, which can be used inside your HTML web pages. This HTML text editor allows many of the powerful editing functions found on desktop editors like Microsoft Word to your web. This is featured with many advantages like preparing your mail content, creating your blogs and so on. This post also explains you how to further modify or use your text editor in many ways, which may include show / hide buttons, control the buttons, etc,. The tutorial contains three folders called ckeditor, js and css with PHP files. Blog table contains all the blog post details. CKEditor configuration file, here you can enable or disable CKEditor options. This class contains two methods blogPublish and blogDetails. Contains PHP code, this will help to insert blog data into blog table. Using this you can display existing blog title and body, based on blog row id. Thanks for sharing this. but there is bug in it, when we select a word and change its format (H1 -> H2, H3 ) then whole paragraph will be formatted. Interesting and well written example on integrating CKEditor. Thanks..
can you tell me about how to clear the ckeditor after form is submitted. Thank you, you have solved my problem . must admit, it is a very decent work. Is there any script or jquery or ajax to load table data on a php page at real-time?